When you enter the 133,000 sq ft barrel warehouse on Sacramento Avenue in Chicago, you don't see the barrels right away. As many as there are, over 10,000 at this point, they still manage to hide them away. Instead, the first thing you see is a bright red floor that stretches across the main room. It's here that the entire barrel program, from Bourbon County Stout to the Sisters, is prepared for the long wait. 200-barrel brite tanks tower over the filling station as BCS is pumped from the tanker truck arriving from the Fulton S.t brewery, into the holding vessels, and then into the barrels. It's a huge transfer process that runs all day with an extremely limited bottle neck — one hose, one person, one barrel at a time. Along the north side is the temperature-controlled wine-barrel and foudre portion. On the south side, separated by a long curtain, is the bourbon. And that's left intentionally up to the elements, enabling the intense cold of the winters and the steamy heat of Chicago's summers to work their magic. The barrels expand and contract for 8-12 months, at least a couple seasons each, in order to derive a complex single-cask expression of tannin, stout, and bourbon character for blending. Filming some of the closing shots in there this summer, we dripped with sweat within 10 minutes, relying only on the enormous fans above to circulate the air. It's possible that BCS never would have aged this way if Goose, in its earliest days, didn't have to squirrel away barrels in a warren of warehouse nooks across the street from the production brewery in such a scrappy manner. Those rustic accommodations didn't exactly provide the option of temperature control. And as the program took shape over the years, the awareness of how that affected the end product became part of the intention of the beer itself, much the way the hot and cold rick houses of Kentucky's bourbon makers operate. The Staviary, as the new warehouse is known, is marshaled by Eric Ponce, a brewer and barrel-aging talent with stints at Alaskan Brewing, Crooked Stave, Lost Abbey, and an education from Versuchs–und Lehranstalt fur Brauerei in Berlin. 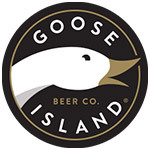 He's indicative of the talent that Goose's growing barrel-aging program has been able to attract, offering a once-in-a-lifetime chance to steer such a big and influential ship. And this was the warehouse that I witnessed Greg Hall walking in to after having seen it mostly empty the year before. Like a kid, his eyes bugged as he whipped out his phone to start snapping photos, his otherwise impressive stature dwarfed by the rows of barrels he couldn't see the end of. Even he seemed unable to comprehend the long-term impact of his "Batch 1000."